2017 Ford Focus SE For Sale In Vernon, Kelowna, Okanagan, BC. Advanced drivability and agile power come forward on the 2017 Ford Focus SE as you experience life with more. Through its four-door design and flexible seating for up to five individuals, you are given a spacious environment where you can relax in modern comfort and bring it all along. 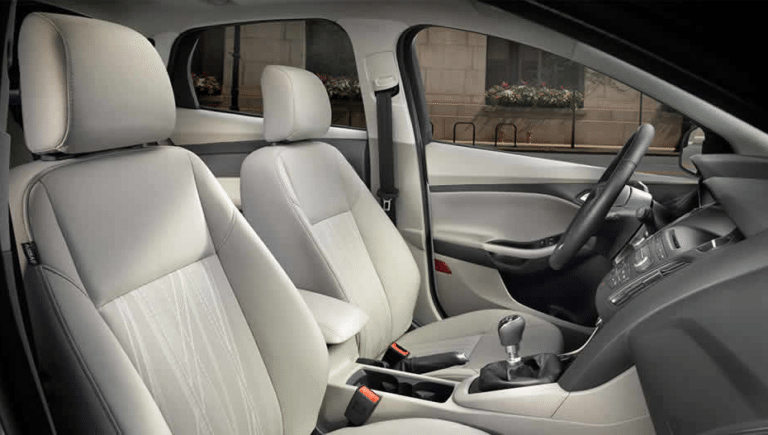 Inviting details and sleek comforts are found with the 2017 Ford Focus SE as you enjoy luxurious touches such as the illuminated entry. Customizable comfort is found with the 6-way power driver’s seat and 4-way manual passenger's seat as you deliver optimal positioning. With the help of the optional heated front seats as well as the optional Power Code Remote Start System, you can take on a cold and long winter without hesitation. You are also given an optional heating and leather wrapped steering wheel with 4-way adjust. Bring along an array of items with the convenient storage spaces found in the full-floor centre console as you benefit from details such as the dual illuminated visor vanity mirrors. 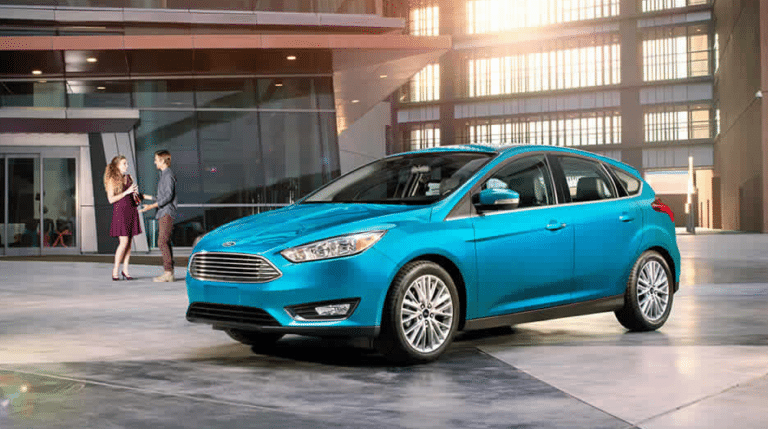 On the exterior, the 2017 Ford Focus SE is bursting with a personal expression of style. Customizable colours and themes are available as you engage with advanced aerodynamics thanks to features such as the Active Grille Shutter and a rear spoiler. Distinctive details emerge with the black grille with chrome trim and black rocker mouldings. Brighten up the road ahead with the quad-beam halogen headlights, available LED signature lighting, daytime running lights and fog lights as you ensure in your ability to see and be seen on the road. 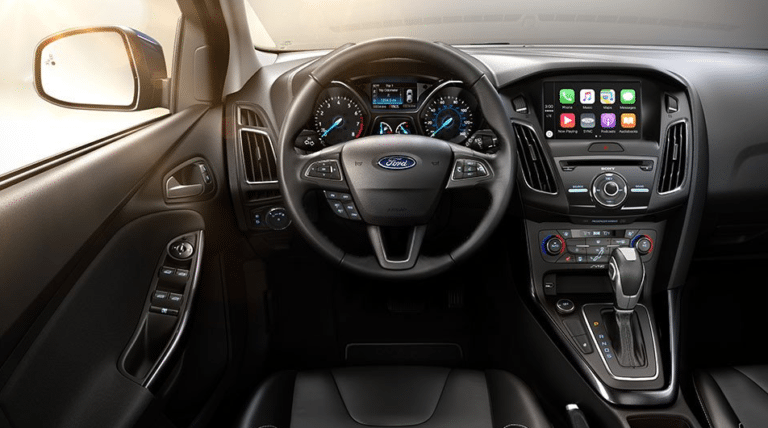 As you drive the 2017 Ford Focus SE, you are given an opportunity to communicate with the outside world without compromising your safety or focus on the road. The SYNC Enhanced Voice Recognition Communication and Entertainment System delivers enhanced communication opportunities as it recognizes the sound of your natural voice for access your controls. Listen to a wide variety of entertainment options with the SiriusXM Satellite Radio and over 120 channels of commercial-free channels. Sound quality is enhanced through 6 speakers and speed-sensitive volume control. Take on life in the 2017 Ford Focus SE as you embrace a personal set of preferences thanks to Genuine Ford Parts and Accessories. Enhance interior organization through the cargo organizers as the all weather floor mats increase protection by trapping unwanted dirt and snow. Expand cargo-carrying capabilities with the help of the available rack and carriers by Thule as you open the door to adventuring with ease. Take on the road with confidence in the 2017 Ford Focus SE. Modern power and control are delivered through the Electric Power-Assisted Steering as you engage with a precision that adapts to changing road conditions. Responsive power comes forward with the optional 6-Speed Selectshift Automatic Transmission as you drive with enhanced shifting quality. Improve grip with the Torque Vectoring Control as you take on slippery conditions with peace of mind. Experience the refreshing design and impressive performance of the 2017 Ford Focus SE as you embark on each journey with high expectations. Check out the 2017 Ford Focus SE at your local Vernon Ford Dealer – Watkin Motors Ford. Through a dedication to lasting quality and advanced customer service, Watkin Motors Ford is prepared to help with every step along the way!